Today is the second week in a row that we’re touring a coastal style home with a pool. 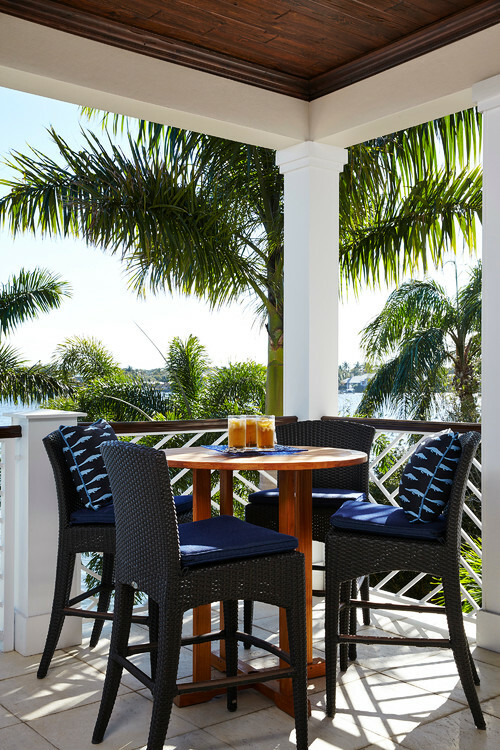 It must be a yearning for warm breezes that brings these nautical homes to the forefront. 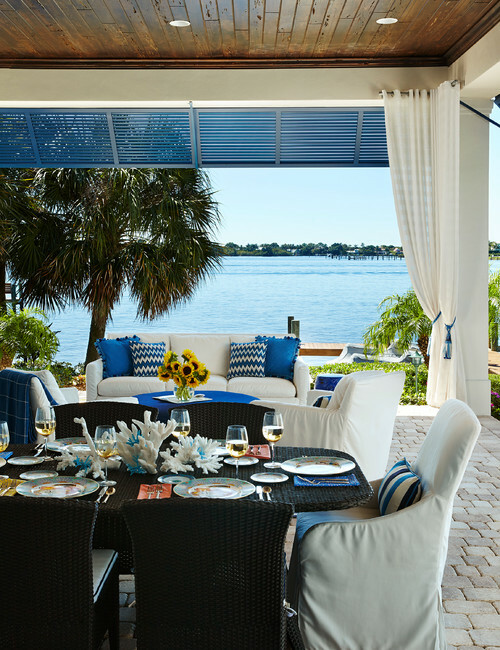 If you’re ready for a vacation, you’re going to enjoy this home tour by JMA Interior Design! A pretty brick sidewalk leads to double wood doors under a pretty, wood awning. 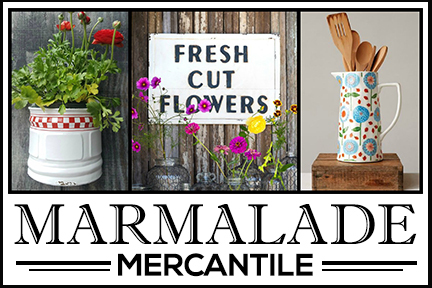 Inside, you get a taste of what to expect on the tour in the coastal style entryway. The beautiful neutral toned living room features a unique fireplace with seashells embedded in stucco. 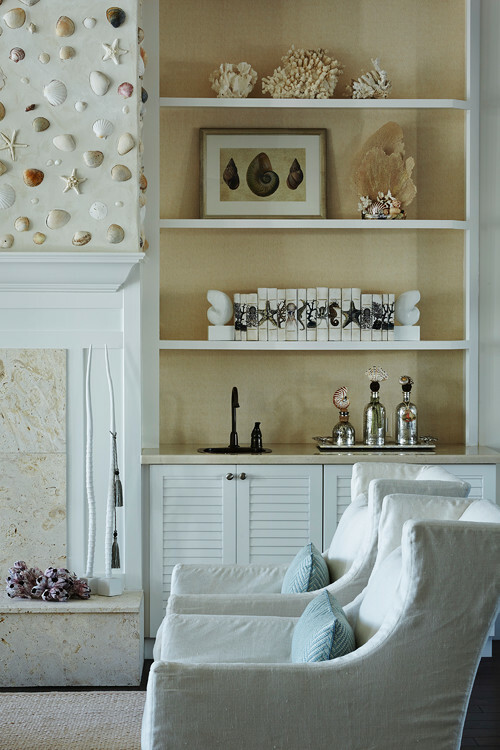 Flanking bookcases feature coral and shells from the sea. A sunburst mirror overlooks the dining room. 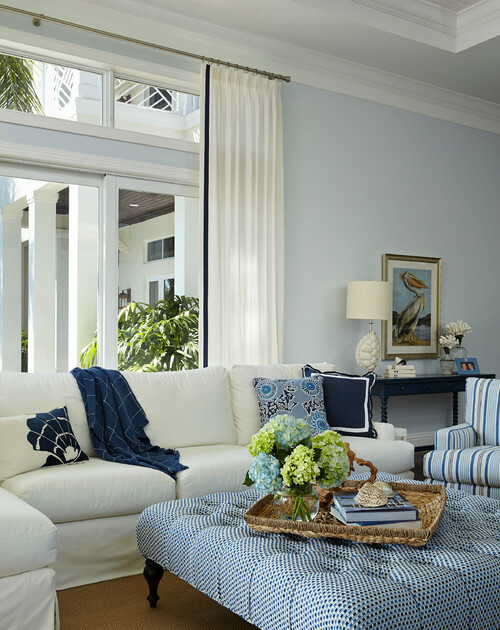 Glass lamps in pale blue enhance the coastal vibe of this elegant home. 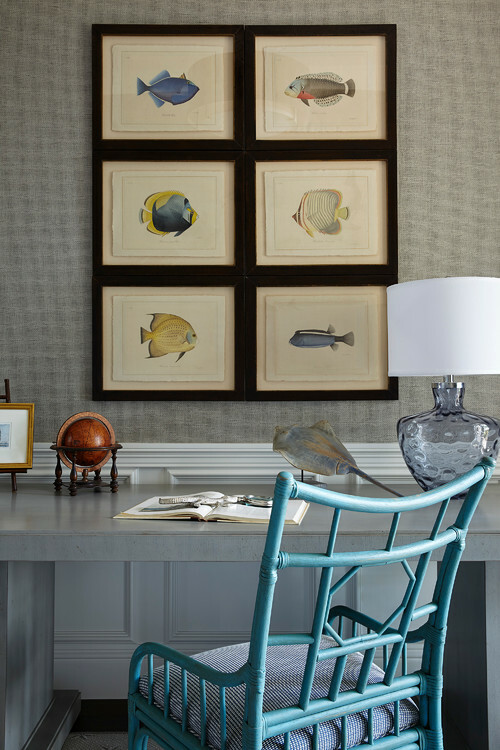 I love the little fish prints that adorn the wall above the office desk. Everywhere you turn you find reminders of the ocean. Cool blues decorate the pretty family room with breathtaking views of the outdoors. A pretty patterned tufted ottoman serves as a coffee table for the white sectional sofa. 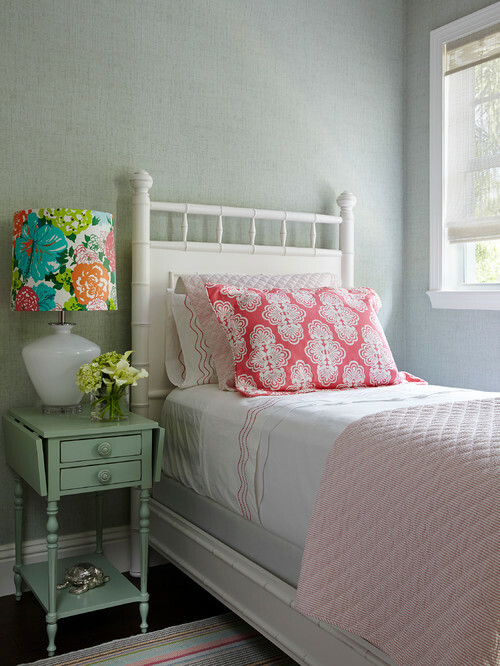 A girl’s bedroom enjoys a cottage vibe with a fun floral lampshade and pretty white and coral cotton sheets. 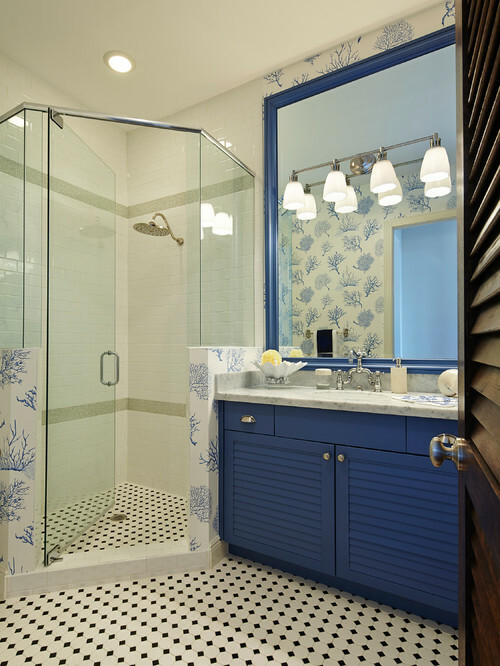 Blue and white wallpaper with coral images provides a beachy backdrop for the blue vanity and walk-in shower. A big part of this Miami home is the outdoor living spaces. A cozy dining space enjoys a waterfront view. You can see that the outdoor cabana is quite large with ample area for relaxing and dining. 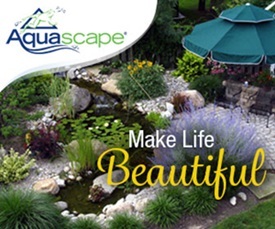 We end today’s tour with a tour of this gorgeous home’s pool. Makes you wanna just jump right in! 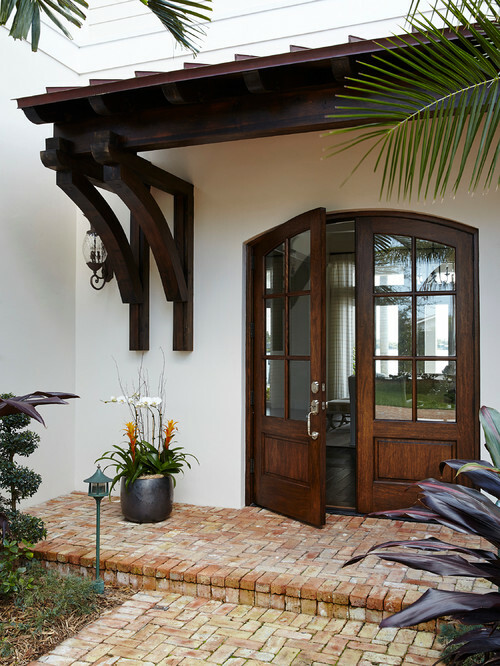 You can see more of this stylish Miami home over at Houzz. 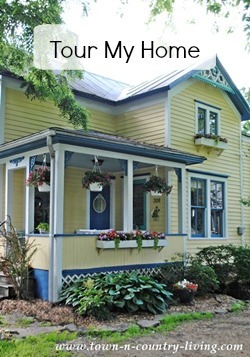 This home is stunning – you had me at that front door! Coastal homes make my heart melt. This is a lovely place and makes me think its time for a beach vacation. An elegant coastal home indeed! I love all of the soft colors throughout…and yes, that door!!!! Not really any words. Just WOW! 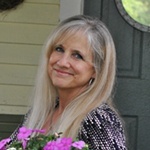 I read your blog fairly often and you’re always coming out with some great stuff. I shared this on my Facebook and my followers loved it! Keep up the good work.